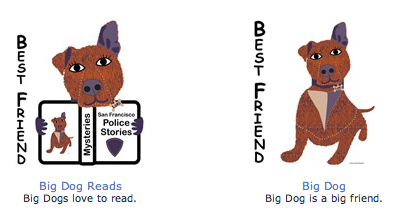 New police academy rookie Nika and her dog Loki love police detective stories, especially those based in San Francisco. Here is Loki, looking at you! Big Dogs are big listeners and faithful friends. Loki is looking fine and is now available online at cafepress.com/DesignClass.